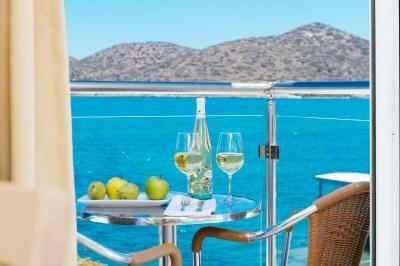 Lock in a great price for Elounda Akti Olous (Adults Only) – rated 9 by recent guests! We like staying in Olonda, because it's small village, peacefull, quiet and still has authentic charm. There are good restaurants and all locals are very friendly. 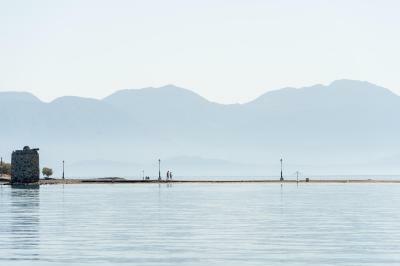 Hotel is about 300 - 400 m from the center, so no crowds there, walking distants to the center and there is nice walking route to and around peninsula ( fish taverna is also there). 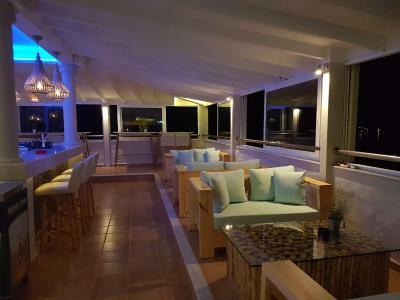 New hotel, nicely decoreted, pool on top floor with nice view to the sea. Great to have breakfast by the sea. Easy access to restaurants in town. We came here mainly to go diving with blue dolphin diving club. So we are close to them as well. We also visited Spinalonga during our stay. 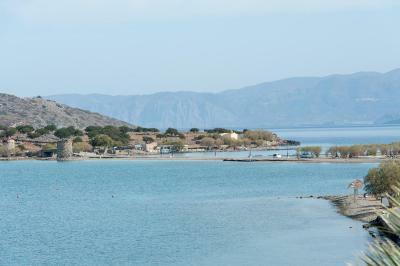 It is easy to walk to the marina to take the ferry to the island. The breakfast is really good. With fresh orange juice everyday. 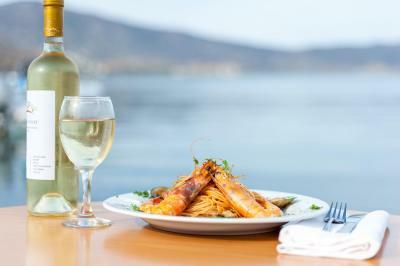 And different selections of hot food and fresh fruits. 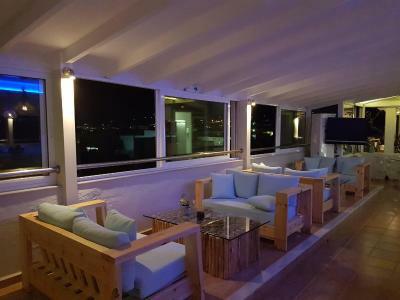 We were there only for one night stand before our flight from Heraklion and we want to be here forever😀 Absolutely amazing place just few steps to the sea, beautiful hotel-rooms, great breakfast outside, absolutely breathtaking experience!! The first thing, we were upgraded to the room with a sea view and that was great - we enjoyed every sunrise! The room itself is small, but it was comfortable enough for us. The shower is good! The breakfast a little bit boring, but it is English one, so understandable. 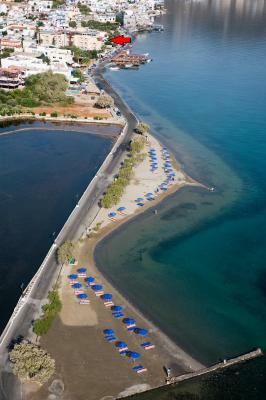 The beach of the hotel is really small and not sandy, but we go to the public beach (15 min) and it was perfect! The roof pool is nice, and the roof bar also. The staff is benevolent. The parking is a bit tormented, but if you can drive at Greece - you will manage to park there as well. 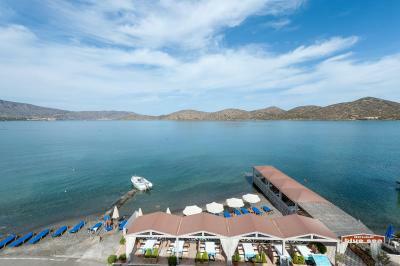 We loved the food and the view at the Blue Sea restaurant of the hotel. 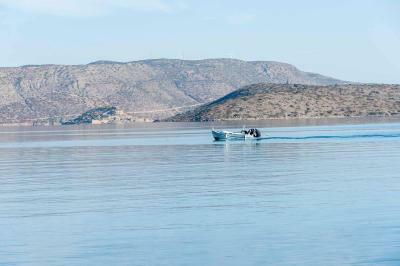 And we liked all this nice area around Elounda. 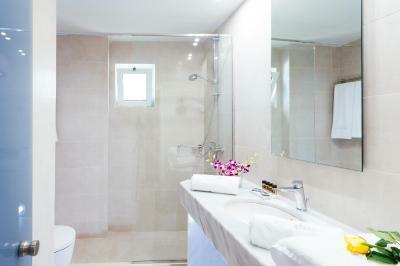 The room was very comfortable and really good, the furniture was as good as at home , the bathroom was well designed and a perfect shower. Great attentive staff, Harry and Polli particularly . 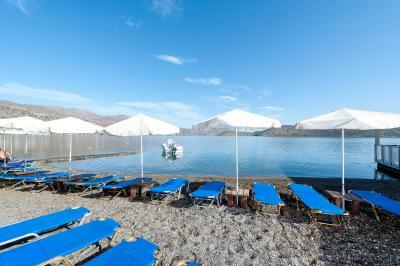 Close to everything in Elounda , very central. The staff it’s very friendly, very clean and nice room, very helpful. Just the pool little small and doesn’t fit toomuch people around, but everything amazing!!! Everything especially the warmth and caring nature of Poppy and Harry in the Sky Bar. 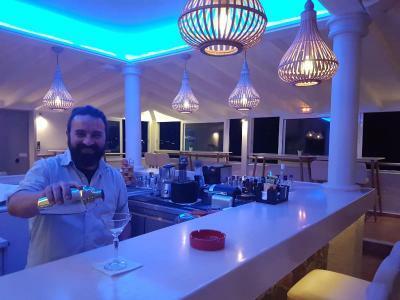 Harry makes the most amazing cocktails the pool area is beautiful and also has its own private beach ground! 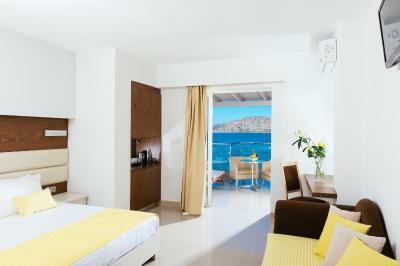 There is nothing that we could fault with this hotel and can’t wait to return on our next trip to Greece! You will not be disappointed with this hotel! 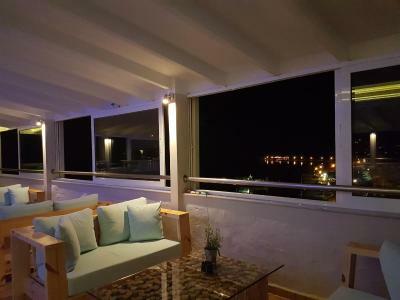 Elounda Akti Olous (Adults Only) This rating is a reflection of how the property compares to the industry standard when it comes to price, facilities and services available. It's based on a self-evaluation by the property. Use this rating to help choose your stay! 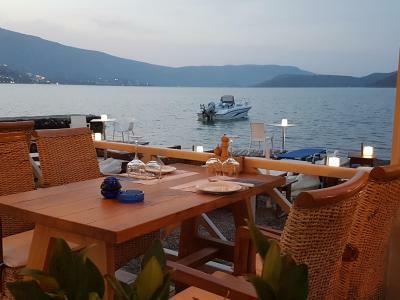 One of our top picks in Elounda.Family-run Elounda Akti Olous (Adults Only) is located directly on the sandy beach in the bay of Elounda, Crete. 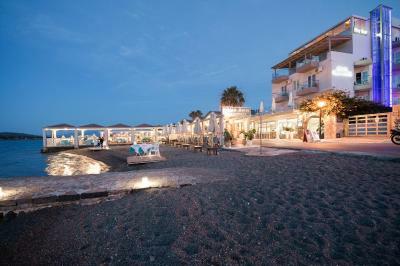 It features a small private beach, a rooftop pool overlooking the Cretan Sea and breakfast. 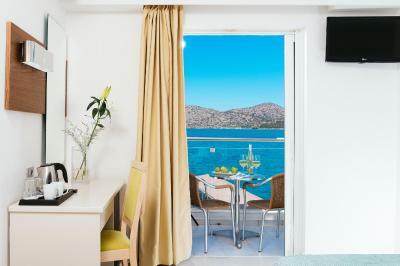 Rooms are decorated in a classic style and have balconies with sea or garden views. Each provides a satellite TV and fridge. Some units have a seating area. A handy smartphone for unlimited calls and unlimited mobile data is offered to guests. 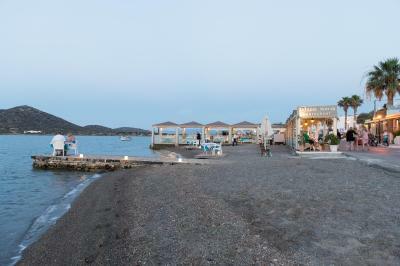 The seafront Blue Sea restaurant serves Greek and international specialties. 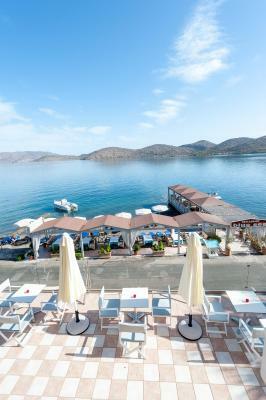 Guests can relax in the roof garden bar that serves cocktails with a view of Elounda Bay. Free WiFi is available in the common areas. 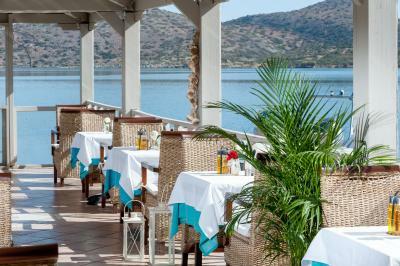 Elounda is 1,000 feet from the hotel and the scenic town of Agios Nikolaos with seafront restaurants and shops is at 7.5 mi. Heraklion Airport is 43 mi away. 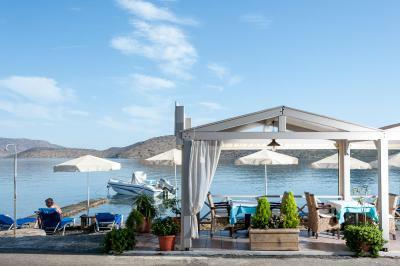 Free private parking is available at Elounda Akti. 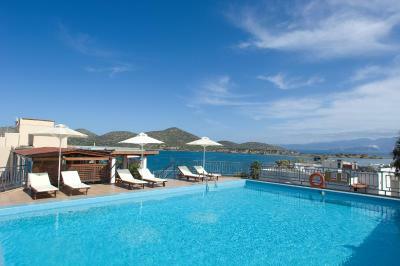 When would you like to stay at Elounda Akti Olous (Adults Only)? 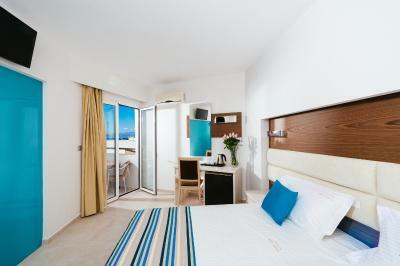 Modern and bright room with fridge, satellite TV and balcony. 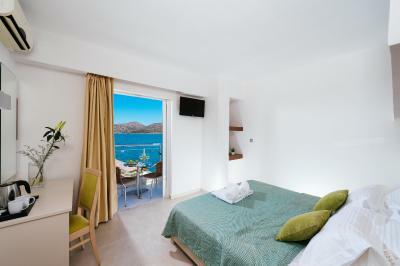 Most rooms enjoy a view of the Bay of Elounda. A handy smartphone for unlimited calls and unlimited mobile data is offered to guests. 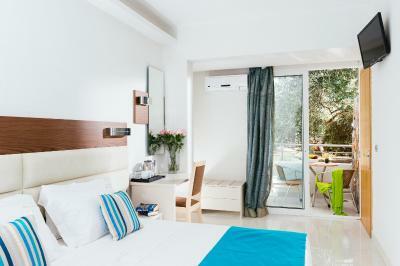 Modern and bright room with fridge, satellite TV and balcony. Offers side sea views. A handy smartphone for unlimited calls and unlimited mobile data is offered to guests. 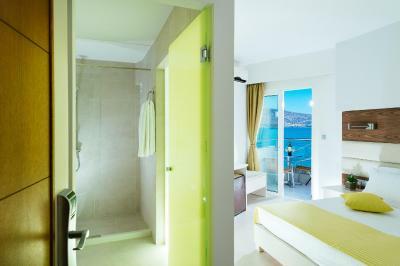 Modern and bright room with fridge, satellite TV and balcony. Offers garden views. A handy smartphone for unlimited calls and unlimited mobile data is offered to guests. 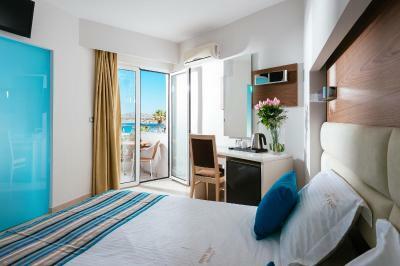 The suite has a seating area and a large furnished balcony with Cretan Sea views. 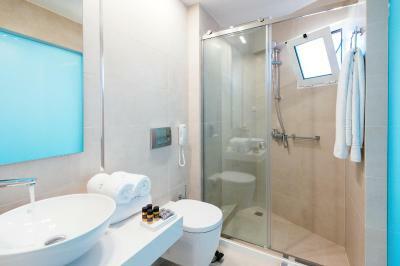 A handy smartphone for unlimited calls and unlimited mobile data is offered to guests. 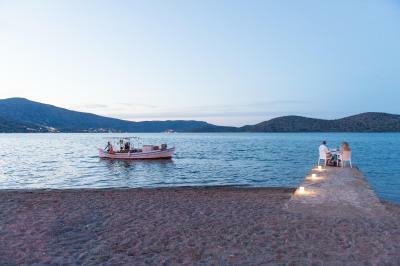 House Rules Elounda Akti Olous (Adults Only) takes special requests – add in the next step! 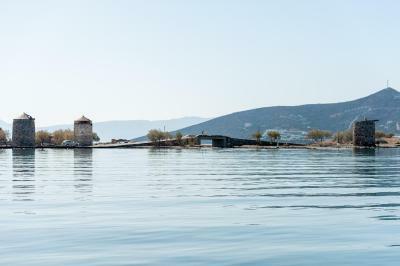 Elounda Akti Olous (Adults Only) accepts these cards and reserves the right to temporarily hold an amount prior to arrival. 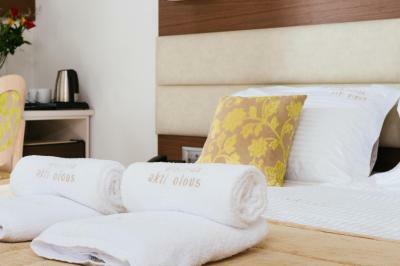 Please note that charges apply for rooms vacated before the expected date. Mosquitoes. Once we have 12 in the room. I strongly suggest you to buy Baygon first day (they have it in the market at the upper street), otherwise that can be annoying. Hard to find and no need for this. 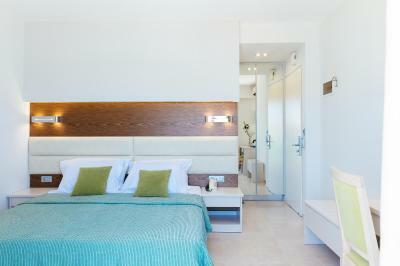 Small rooms with no suit case space. Lift problem at checkout. 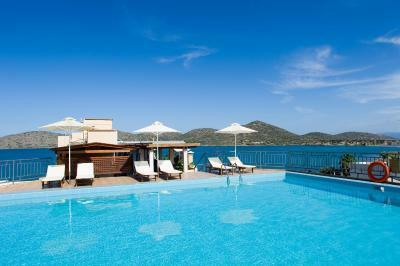 This was our second stay, we stayed last year and fell in love with elounda. 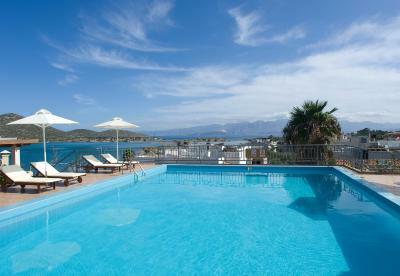 We wanted to return with our 3 grown up children and visit Akti Olous hotel again as it was so perfect. Wonderful location, clean, very friendly staff who go out of their way to help you, delicious breakfasts, will all be returning again for sure!! If I’m being picky, We stayed in the “junior suite” and whilst the room was lovely, the view and balcony was amazing we were surprised that a narrow bath was squeezed in which was too small to use and weather too hot for a bath anyway, would have been much better having a big walk in shower rather than climb in a bath. 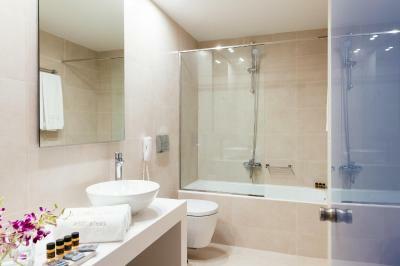 Great location, wonderful views, spotlessly clean. Good food in the restaurant and Hari who works in the rooftop bar is good fun and makes the most amazing cocktails.